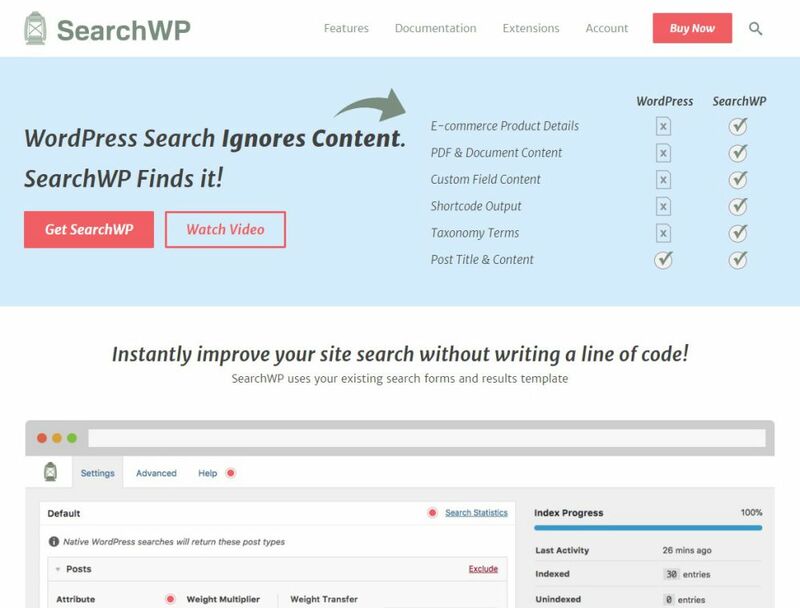 SearchWP is a handy WordPress plugin that let you improve the WordPress search. WordPress default search feature is very basic and ignores most of the website content. SearchWP fixes the issues and provides extensive search results by scanning through all the content of the website including custom field content, shortcode output, taxonomy terms, custom field type, and so on. As it comes in the form of a plugin, you don’t have to write a single line of code to use it. 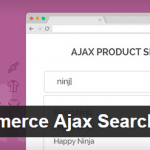 SearchWP also works seamlessly with popular plugins such as ACF PRO, WooCommerce, and others. The key features of the plugin include e-Commerce order and products search, custom field data, unique visitor insights, keyword stemming, etc. Any WordPress owner can use SearchWP to improve their site’s search. You can get access to support through their ticketing system. You can also connect with them using email. SearchWP pricing is steep. However, it is a one-time payment only. Standard: $79, one-site license, one-year updates and support, all standard extensions. Pro: $149, five-site license, one-year updates and support, all pro extensions. Pro Plus: $299, unlimited sites license, one-year updates and support, all pro extensions. All of the plans come with 14 days full refund policy.